It's Snap, Set and Song time! This week's theme is Brown. 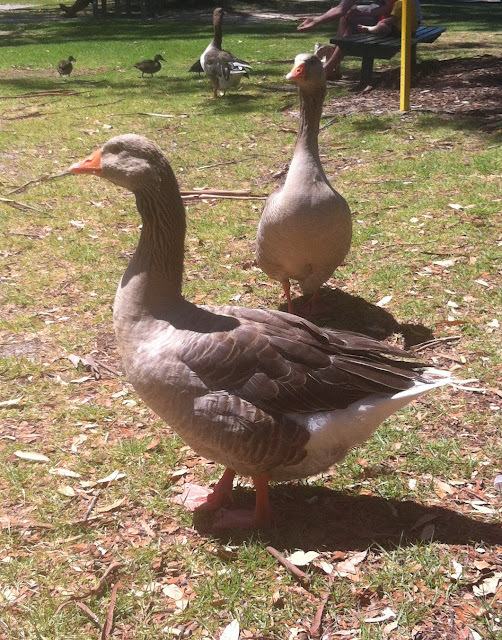 When we were at the Soldiers' Park in Collie on the weekend, we saw these friendly geese. so I cheated a bit and found all these pieces under 'beige'. For my song choice, here's an old favourite. Didn't you just love Boney M back in the day? in photos, fashion and music. Those geese are gorgeous! I've only ever seen white ones. And I love your set...sooooo pretty!! Yep, can't go past Boney M.
Love that polka dot dress!